English Ivy is classified as a fast-growing vine or ground cover. According to the U.S. Environmental Protection Agency, "English ivy is an evergreen woody vine that spreads rapidly, can climb to a height of 30 meters (about 98 feet) and when mature, flowers prolifically." 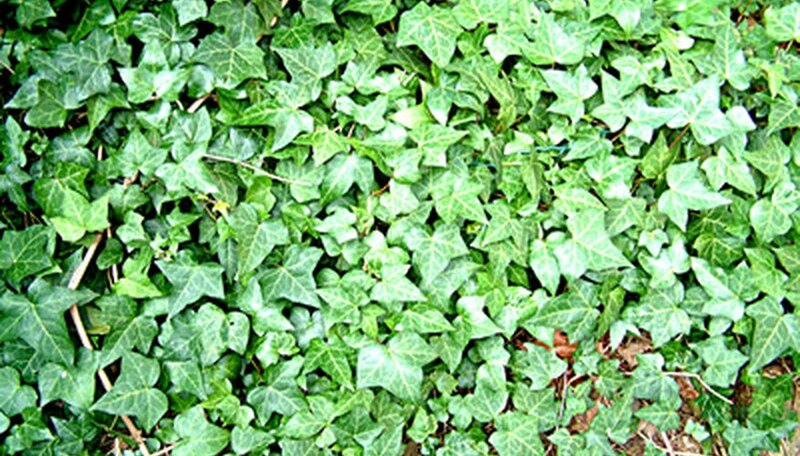 Gardeners and horticulturalists agree that English Ivy, or hedera helix, is an invasive plant that often becomes a problem. English Ivy is classified as invasive in the Pacific Northwest and many other areas, according to a 2009 report by the University of Maine Cooperative Extension. The fast-growing English Ivy is characterized by woody vines that produce small-pointed, deep-green leaves. As a ground cover, the plants grow to about 1 foot tall. Grown as a climbing vine, hedera helix can grow to 40 feet, sending out rootlets that attach themselves to walls, fences and tree trunks. English Ivy keeps growing through the winter while other plants are dormant, thrives in poor or soggy soils, and is resistant to herbicides, making more aggressive measures necessary when trying to eliminate the plant.